Shirky showed it quite well on page 27 of Here Comes Everybody Why could this be useful? Well, if you want to see a movie on your birthday and invite 74 friends, then 2,775 questions later - you may get in the car to the mall... by that time it's probably time for your next one. Finally, if 25m people at G+ then that's 300,000,000 connections (if we know all of them). Lance Norris - Mike, not sure I see your point. If I want to have 75 others join me at a movie, I need only ask 75 times. The fact that there may be many other possible interconnections is mathematically real, but irrelevant. Mike Downes - +Lance Norris My first point, as an exTeacher, was to tell people about the Birthday Paradox and that there is maths behind it. As for the 75, it was an example of connections between people. For example, tomorrow morning, I will train a Non Profit organisation on twitter use. these people have no real knowledge of the interconnections between people on networks. One lady told me today how she did not understand why someone had replied to her company and commented on the weather. I had to talk about how people are all connected, depending on their viewpoint and who they may know. I fully understand your points in your comments. I also work with UK law enforcement who have rejected social media use until very recently. Last night, I was at a meeting when the officer commented how they only had 89 followers and wished it could be more. It has taken many months for the local police force to see how something as simple as a tweet can effect and engage a community. Lance Norris - Thanks Mike. I see your point now. And you only referenced interconnections between those in a person's circles. But many more may not be in a person's circles, yet share some common people they mutually follow. So taking these extended circles into account, the effect can be much larger. Something for those of us with few followers to take into account. 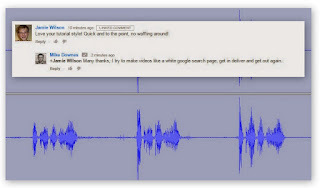 Mike Downes - +Lance Norris I really appreciate your comments and that is why I like G+ ( and even blogs with comments). It makes me think deeply about it all. When I was a teacher of 7-11 year olds, I had to find ways to reach each one with an idea. I also had to figure out what was relevant to each child. On reading a few pages of Shirky, he talks of disruption in small circles when someone drops out. For example, if 5 people and only 10 connections, if one person left, the others would be affected. And then the last consideration is when groups get too large and no one can have a say. I am a regular in some Google Hangouts, if the room were full, them at 10 people (and 45 connections) I would have to be pretty patient to have a say or just dominate the group. I find all this fascinating. In the UK, from the summer riots, two people were imprisoned for inciting riots on facebook. I have no idea how many people were their FB friends, but the Police considered it a valid threat to sentence them for four years each. In the local city of Coventry, twitter rumours were regular. One local senior officer was monitoring twitter to neutralise unrest. Now, the maths behind that is interesting as his one tweet would hit his 800 followers and hopefully work. There were no riots in Coventry and then his account showed 2,400+ followers a few days later. Robert Redl - Dear +Mike Downes +Bruce Garber even stepping from 2 to 3 contacts is a major difference.